the food is superb and not to mention cheap! so here's a brief recount of the food adventures we had. 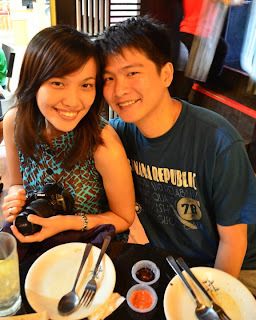 J and I - happy mode on, with our clean plates. desserts before the main thing. introducing cendol! shaved ice topped with coconut milk, sugar, worm-like green jelly basically makes up this traditional dessert which originated in South East Asia and is famous in Malaysia. more or less Malaysia's version of halo-halo. on to the next big thing - dinner! after literally alternately walking and eating, we weren't really hungry (or so we tell ourselves) but we were up to anything. we're in malacca, so might as well enjoy what culinary treats we were offered. walking from jonker to the next stop built our anticipations... honestly, i was in shock when i saw that we were taken to an ala carenderya place where it predominantly smelled of something. hmmm, was it curry? :) people were dipping their food in a boiling pot of sauce in the center of the table. hmm, interesting indeed. we were still unsure of what we will get but we went on, sat down and looked at each other. i could imagine us shrugging "oh well, this is it". satay celup (or steamboat satay) is a dish where an assortment of raw, semi-cooked seafood, veggies and meat on skewers are dunked into a boiling pot and eaten with sauces similar to that of satay. it doesn't look much, but we had a variety - mussels, crab meat, fish balls, pork, shrimp, quail eggs dunked and dipped into the boiling mixture, and yes it was a yummy feast! no, we were not playing pick-up sticks. the waiter did that to count how many sticks we took - 92 in all. satay celup - RM 0.60 per stick. J and I striking a pose with our A&W rootbeers. A&W is famous for its rootbeer. anyone knows that. i was surprised to know there was an A&W restaurant too. well, they didn't have that in the Philippines (at least not in Cebu) and we don't have that in SG. 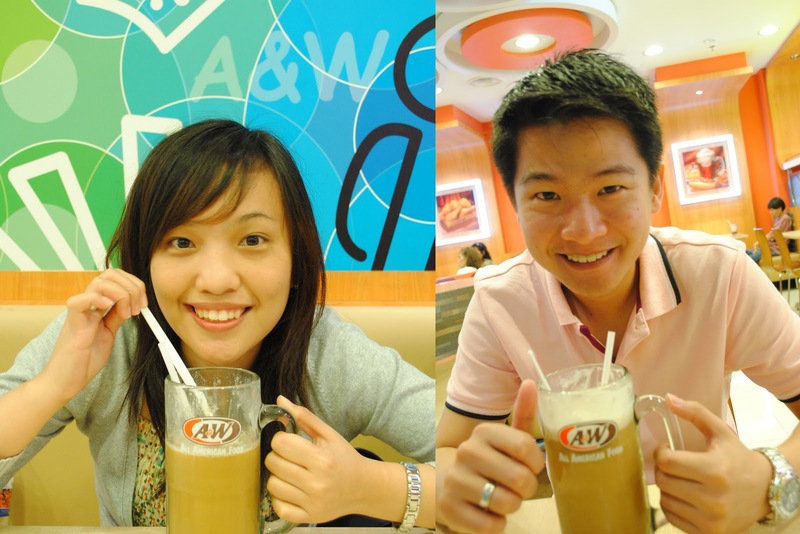 before heading straight back to SG, we had our brunch at A&W where we a had fill of their sinfully-yummy rootbeer floats, burgers, twister fries and uber delish waffles! 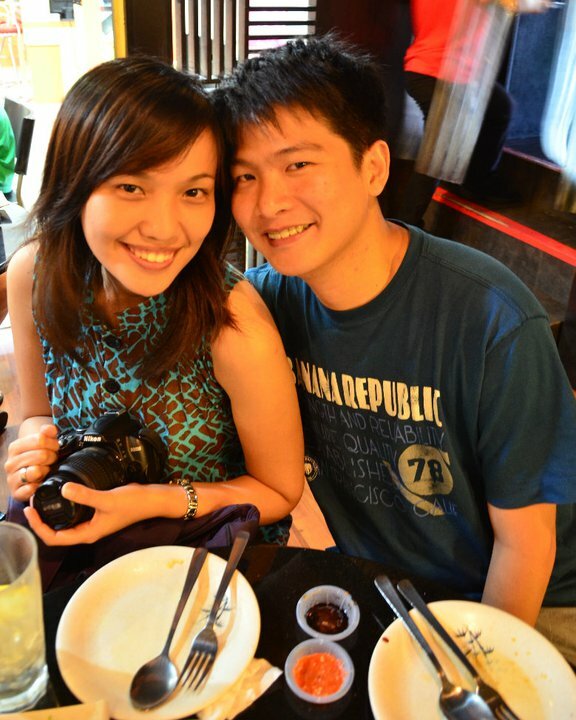 here's to the fun-filled weekend and to the best food trippin' we had. and hoping for lots to come!